January 5-8 2017 the future of technology will populate the Las Vegas Convention Center for the 50th Consumer Electronics Show or CES as it is better known. Of course, there will be mainstays like computers and digital technology alongside the more exotic offerings like robots and self-driving cars. It is interesting to note that one executive from the Ford Motor Company told a local Las Vegas news report that just ten years ago Ford had a small auxiliary tent in the parking lot as their contribution to the show, now their booth is front and center along with names like Sony, Samsung, and Apple. Another arena that seemed far removed from technology was that of fitness. However, within the last few years even the ancient art of strength and conditioning has been baptized by into fitness technology. Ironically back in 1985 the movie Rocky IV showed Rocky’s opponent as a Russian fighter trained by use of technology and computer monitoring. The films training montage even featured a contrast between Drago’s technologically advanced training and Rocky’s far less than modern training. This clip shows Drago’s camp giving the media insight into how technology makes him a superior athlete. Granted the starship enterprise bridge looking gym is a far cry from what fitness technology would become in 2017, it is a pretty good prediction. 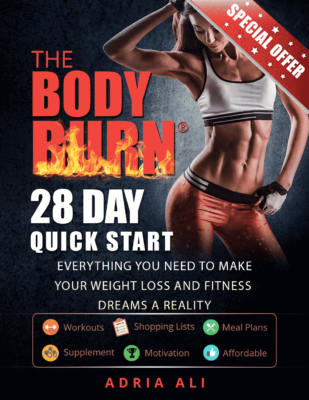 The expo is featuring what they call The Fitness & Technology Marketplace intended to “feature the latest developments and discoveries across the digital fitness category.” As many as 93 vendors will populate the expo floor with their fit tech offerings. Innovative products like fitness trackers that recognize the individual lifts you do, to devices that transmit your progress to your phone to record progress, to shoes and clothes able to record activity. Boltt offers an artificial intelligence technology (The AI Health Assistant) that talks to you throughout your workout, gives you tips as it tracks and evaluates your progress, and guides you towards your predetermined goal. The AI assistant stays in 24/7 contact with you and even texts you important information about your fitness routine. 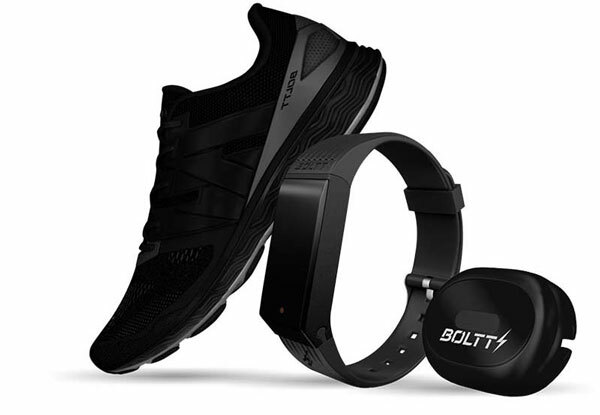 Boltt is also promoting its Smart Shoe, which can track speed, duration, distance, and more and even works in conjunction with their AI assistant. Cloudtag seems to purpose integrating a person’s health and fitness through technology that can not only measure progress but connect with physicians for real time monitoring of the individual’s health. The technology claims to be able to access and notify future risks and health concerns. Cloudtag will be promoting their upcoming product Onitor Track. You feed your goals and current stats into the device and the computer interprets and adapts as you progress through your workout routine. The integrated fitness technology from the Vert device allows coaches and trainers to monitor their athletes anytime or anywhere to access their conditioning and determine changes or limits that might need to be imposed on the athlete to excel performance and prevent injury. Vert even offers six and eight player tracking systems so coaches and trainers can monitor their athletes together and in real time. It is not farfetched to say every part of our lives is becoming predicted with technology. From data usage, to cooking, to driving, and even to fitness. Technology is here to stay and ever evolving at an insurmountably rapid pace. It is important to remember that fitness at its core is not digital, not technological, and not cutting edge. While technology evolves at the speed of light, the human and how the body responds to exercise and nutrition does not. Fitness technology will take human performance to new levels but is never a substitute for motivation and dedication.